Sorry DC Comics fans, but with the runaway success of the recently released Guardians Of The Galaxy film and the announcement that the upcoming film Batman v. Superman: Dawn Of Justice won’t directly compete with the third Captain America film, it’s pretty clear that Marvel Entertainment has won the Comic Book Movie War over its rival DC Entertainment. For years DC was at the apex of comic book-based films thanks to Superman then Batman dominating the box office. Marvel wasn’t even a contender; it was consigned to bargain-basement shlock efforts like Captain America, The Punisher and Roger Corman’s The Fantastic Four, which wasn’t even released. It seemed like Marvel just couldn’t get its act together and was floundering with its attempts to put something out into theaters much less TV. Meanwhile, DC had solid hits with its flagship heroes and films that although were flawed, were generally well received. DC’s advantage was that it was (and is still) owned by the studio giant Warner Bros., which had the deep pockets to finance the superhero films. This was why the Superman and Batman films looked so good. In their day, they had big budgets with big-name stars, directors and the best special effects and production people working hard to put out quality efforts. The best Marvel could muster was getting Dolph Lundgren to star as the Punisher. Fans asked for years where were the big-budget adaptations of Marvel’s best heroes? While Batman tore through theaters where was Spider-Man? Well, Marvel was just a comic book company then that went through many owners who didn’t know a thing about expanding into other media, specifically film and TV. Then there was the legal mess over who had the rights to produce a Spider-Man movie that was only resolved a couple of years before Spider-Man. By that time, Marvel had gone through bankruptcy and in order to raise money sold their coveted properties to different film studios. 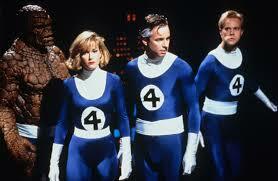 That is why properties like the X-Men, the Fantastic Four and Spider-Man aren’t made by Marvel Studios today. Despite their overall success, DC still had some chinks in their movie armor. 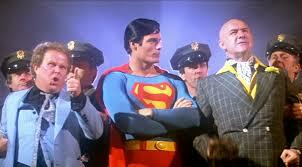 For every rousing Superman II or Batman there were undeniable stinkers like Superman III or Batman & Robin. Worse were truly abysmal films like Steel and The Return Of Swamp Thing that not only failed in the box office, but sullied the reputation of superhero films. DC Entertainment didn’t fully capitalize on the success of the Batman and Superman films. Yes, they did push forward TV adaptations of the Flash and Superman, but they should’ve concentrated on making quality films of their other properties. Instead they pooled all their efforts into Batman, which made sense since he’s their most popular superhero. But the problem with that approach is that when a Batman film falters it affects the rest of their line. And this is what happened with the release of Batman & Robin in 1997. That film strayed far from the winning dark and gothic formula that director Tim Burton used in the first two films and instead was a throwback to the campy 1960s TV shows. That silly approach used by director Joel Schumacher irked many fans who felt that Batman was a dark and serious hero and putting him in goofy situations was undignified. At the same time, DC was floundering with their attempts to reboot the Superman film franchise after the pitiful failure of Superman IV: The Quest For Peace back in the 1980s. A lull existed for DC superhero films that lasted from 1997 until 2004 when the DOA Catwoman was released. 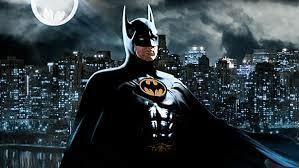 DC wouldn’t get back on its feet until the following year when Christopher Nolan’s reboot Batman Begins was unleashed. That film’s success did come with a price. Chiefly that Nolan’s unique and grounded Batman universe couldn’t have any ties to the rest of the DC universe. Hence no mentions of Superman, Wonder Woman, etc. Not even their home cities seemed to exist in Nolan’s dark and brooding world where costumed beings didn’t have true superpowers. As good as that was for the Batman films, it meant that DC couldn’t use them to introduce other heroes. That’s not to say they didn’t try expanding. There was almost a Justice League film made. George Miller was supposed to direct it and a cast was set, but the 2007-2008 writer’s strike ended that dream. Then everyone knows about Superman Returns and Green Lantern, two highly anticipated films that failed and left DC’s expansion efforts stillborn. Unfortunately, as these two films floundered Marvel Studios began its ascension. The first few films based on Marvel properties were huge hits with the public and fans, some decried how they ignored fundamentals in core concepts. For instance, as Hugh Jackman became a big star for his portrayal of Wolverine, many complained that he was too tall and good looking. Others griped about why Spider-Man all of a sudden had organic webbing and never invented web-shooters. Then there were the misfires that were forgotten in the wake of the successes of Spider-Man 2 or X2: X-Men United. Those included Daredevil, Hulk and Ghost Rider. Marvel Studios (originally Marvel Films) began to slowly regain the rights to certain characters that were licensed out in the mid-2000s. The first coups were the Hulk and Iron Man, who incidentally kickstarted the Marvel Cinematic Universe in 2008. As DC celebrated the release of the monumental epic The Dark Knight, Marvel had its own bragging rights with Iron Man. The film was fresh, exciting and stayed true to the roots of the Armored Avenger while updating the character for modern tastes. But what truly sweetened the pie for Marvel fans was the hint of a larger universe in that film. 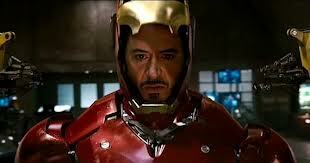 That came with the famous post-credit scene where Tony Stark (Robert Downey, Jr.) learned about the Avengers Initiative. Then, just a few weeks later in the film The Incredible Hulk, Downey, Jr. reprised his role as Stark for a special appearance. Thus, the proper Marvel Cinematic Universe was born in the summer of 2008. Marvel Studios followed its first two films with Iron Man 2 and although that film wasn’t well regarded due to its meandering story and having too many characters it served an important function. Yes, the film had too many cameos and Easter eggs alluding to a larger world, but it was necessary to establish that world, which didn’t necessarily involve Tony Stark. Iron Man 2 provided a jumping off point to other major characters who received their own films, namely Captain America and Thor. As Marvel Studios sought to bring to life lesser known characters like Iron Fist and Vision, The Walt Disney Company purchased Marvel Entertainment in 2009. Now with deep pockets behind them, Marvel Studios was allowed to reach for higher glory and became more ambitious. 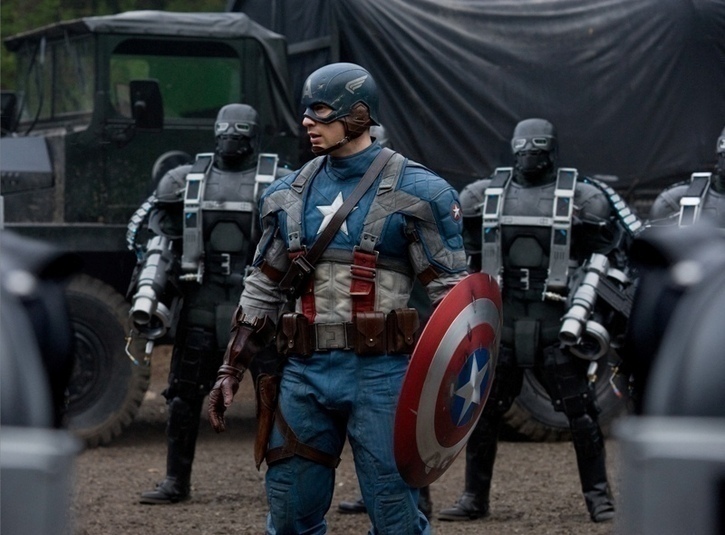 This was seen in its next two releases Captain America: The First Avenger and Thor in 2011. Like Iron Man 2, these films further embellished the Marvel Cinematic Universe in a more organic way and it can be said both films more properly laid the foundations for key tenets of the Marvel Cinematic Universe. That is because the first Captain America film was a World War II period piece that established that the Captain was the first true superhero and had allusions to Thor’s extraterrestrial worlds. As with Thor, that film put forth the logical notion that Thor and his ilk were actually aliens and their visiting our world set off a chain reaction that is still felt. But more importantly, the final cornerstones to an Avengers film were placed with those films. In 2012, The Avengers premiered to an eager world of fans who finally saw their dream of several distinct superheroes together in a live-action medium. To say that The Avengers revolutionized superhero films isn’t an exaggeration. It became the third highest grossing film of all time and performed better in theaters than Nolan’s conclusion to his Dark Knight Trilogy, The Dark Knight Rises. Following The Avengers, Iron Man 3 and Thor: The Dark World performed spectacularly in theaters the following year. However, both films had their ample share of critics who complained about the stories and character twists (or lack of). 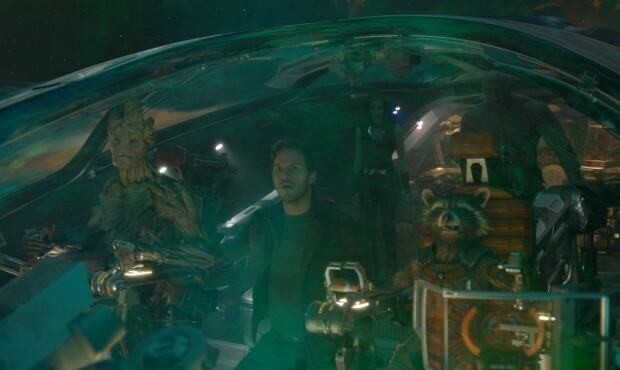 There was a feeling that Marvel Studios was just churning out safe, formulaic fare. This was probably why the world was very shocked at this year’s success of Captain America: The Winter Soldier and Guardians Of The Galaxy. The second Captain America film was a tense, exciting and well crafted political thriller, which was completely different than its predecessor, while Guardians Of The Galaxy was an amazing joy ride with colorful and endearing characters. Both films weren’t expected to do as well as they did since they featured less-popular and less-known heroes. Thanks to their success should be given to the directors behind the films who had firm grasps on the characters and had the ability to deliver. It’s undeniable that Marvel Studios must be acknowledged as being able to churn out exceptional superhero and comic book films. Marvel has won the Cinema War to date because of Marvel Studios’ releases, which form a cohesive integrated universe and DC’s inability to take full advantage of its past success. But coming later this decade is a new war that will be full blown as DC readies its own cinematic universe.